Lobsters: The Main Deal In Maine #infographic ~ Visualistan '+g+"
Maine is renowned for many things: its quaint atmosphere, seaside towns, rustic natural beauty, and most importantly, its lobster restaurants. 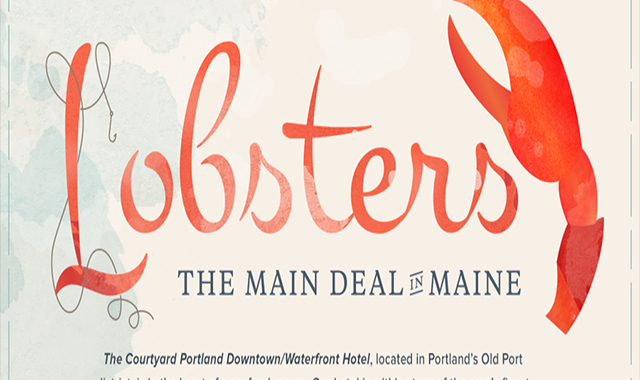 In this infographic with Marriott International, we look at where to enjoy lobster in Portland, Maine along w/ the best local brews to pair with each lobster dish. If this infographic doesn’t make you hungry, nothing will!